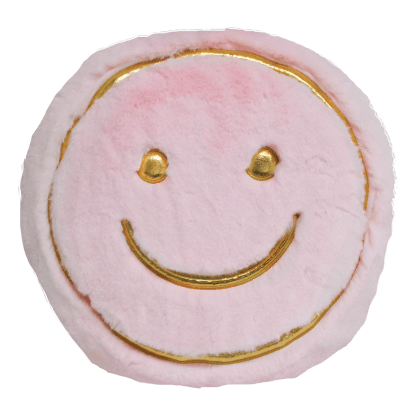 Our golden smile plush pants are sure to make your day a little happier. 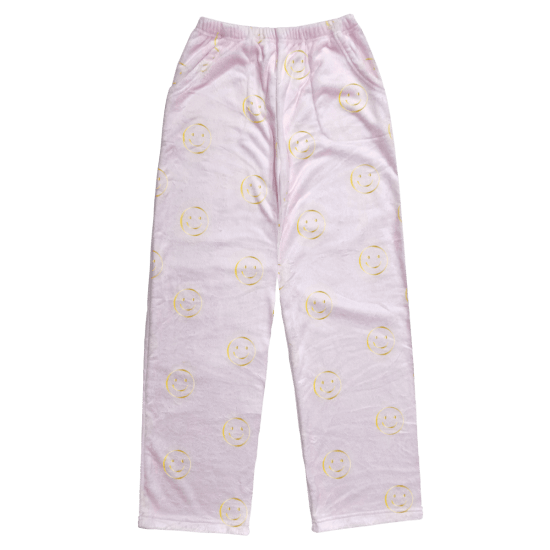 These oh-so comfy light pink pants are as soft as can be and feature a golden smiley face design. 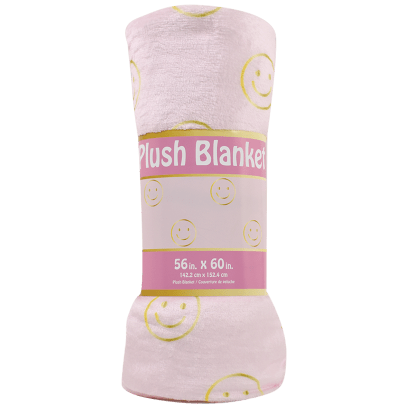 A great pick for lounging around, kids of all ages will love these for sleeping, hanging out at home with friends, and relaxing after school.